The training division co-ordinated and facilitated many trainings/ awareness sessions as in house programmes and external programmes. The Trainer Development Program helps professionals with responsibilities for training others. Topics include how adults learn, how to prepare for and create training, how to lead one-on-one and group training, and how to follow up on training. Over a period of time indigenous mechanisms were evolved for developing a cadre of professional trainers and resource persons in the Organisation to create a cascading and multiplier effect. The staffs are being exposed to the training programmes arranged by the organisation on the newly evolving issues and concerns in the social work discipline. Regular involvement in the training programmes initiated by NIPCCD Institution provides the employees an exposure in the field of Child Development. 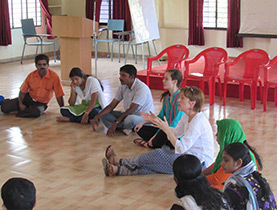 ‘Rajagiri outREACH successfully completed several numbers of training and sessions every year. 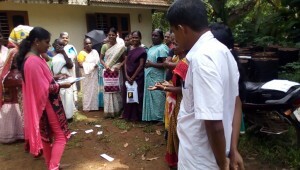 Trained resource persons from the outREACH acted as resource persons of the external NGO‘s and Government sponsored programmes all over Kerala. The training as a package would completely undertake the designing and delivering of effective training. It focuses on delivering practical learning activities with actual field based situations. outREACH resource team was part of different training programmes of many Institutions like KILA, IMG, CCDU, Suchithwa Mission, Meljol, QTEC Learning Solutions, UK., Kudumbasree and CYFI, Netherlands etc. outREACH motivates proactive youth clubs at the grass root level to enable them to join in the efforts toward the Mission of Social action. FYRE : Fellowship of Youth of Rajagiri for Empowerment, Enrichment and Environment serves youth belonging to the Rajagiri neighborhood. 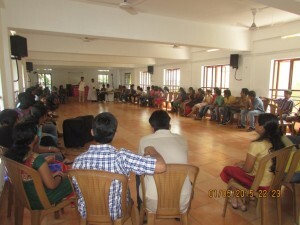 Monitoring and training of youth coordinators of the Yuva Sakthi project of Kerala State Youth Welfare Board that organizes youth clubs in the Districts of Ernakulam, Alappuzha, Thrissur & Idukki. Rajagiri outREACH (change all) tailors Computer Education Programmes to suit the needs of local communities. 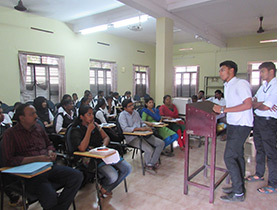 Basic computer courses that include modules in, Desk Top Publishing (DTP), Tally, Photoshop, PageMaker and other areas of interest, are carried out in collaboration with the Sterlite Foundation, Mumbai. We have established ten training centers, spread around Kerala, in association with Sterlite Foundation. In tune with the Vision and Mission of Rajagiri College of Social Sciences, RAJAGIRI outREACH also acts in building up the society on one hand and moulding the students on the other hand believing it as the social responsibility of the Organization. The students from different spheres of education such as Engineering, Management, Law etc, both under graduate and post graduate level undertakes practical training or experience under the various projects of RAJAGIRI outREACH. Being a live lab its field facilities and filed programmes are also utilized by the students of Rajagiri educational institution and others. 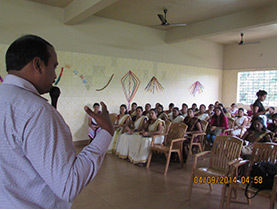 RAJAGIRI outREACH had supported the CSR initiatives of many reputed companies,organizations, agencies etc. The beginning of a CSR activity always depends on surveys,findings and its recommendations. Basically the surveys assess the needs and problems of thecommunity situated nearby the companies who desire to implement their CSR initiatives. Some of the major companies who entrust their research based studies and develop and maintain an acquaintance for consultancy are UNICEF, Indian oil Corporation, Apollo Tyres, KITCO Ltd.,Sud Chemie India Pvt. Ltd., Bharat Petroleum Corporation Ltd., Kochouseph Chittilappilly Foundation etc. Basic interventional areas undertaken by the organization are education, housing &amp; sanitation, drinking water, health, infrastructure, women empowerment, agricultural crops, waste management, children /youth /women /old /welfare etc. Sometimes in addition to need assessment studies the expertise interventions are insisted also for impact assessment, baseline studies etc.